People starting digging into tea will soon come across the fact that the spring season doesn’t not only play a special and significant role for us humans, but also in the world of tea: tea lover circles speak with awe and anxious anticipation of spring harvests, of “first flushes”, teas of the year’s first harvest. There are teas having the word “spring” as a part of their name, and others that can even be harvested just once a year, in spring. And so tea lovers in the wealthy, non tea-producing middle European countries will not have to wait until summer, before the current year’s First Flush, as the tea from Darjeeling’s first harvest is called, will finally make it into their cups, the Indien producers spare no expenses and send the first batches, depending on cultivar, altitude and climate usually picked between end of February and middle of April, fresh from the harvest and processing by airplane to Europe, where retailers and passionate tea drinkers await the arrival of these so-called “flight teas” with great anticipation. But exactly isd it that makes the tea of these first or early harvests of the year so interesting and so special, and is this a particularity reserved for Darjeeling tea? Climate-wise, all major tea cultivation regions have a winter as part of their seasonaly cycle in common. Winter, of course, doesn’t mean the same thing here that we know from middle/northern Europe or north America, i. e. with snow, ice and freezing cold, but rather a moderately cool, or much rather nicely warm climate, the type of climate most of us will actually consider as very pleasant. In the tea cultivation areas of north Thailand for example, at altitudes between 600 and 1600 meters, though temperatures fall to below 10° C, at higher levels even right down to the freezing point, during the winter months (December to March), daytime temperatures will always reach at least 25°C at the same time, with the sun making a regular daily appearance in a clear blue north Thailand sky. 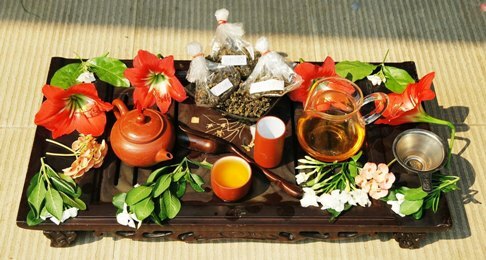 The processes of the producing active substances and flavor agents as taking place in the tea plant during the spring and summer months, as well as the targeted driving of the such generated tea juices into the young leaves and buds come to a near-standstill in this time, just like the generation of young buds itself. Nevertheless, there are still things happening in the tea plants during the winter months: predispositions for new active and flavor substances, for a new picking cycle, are made, the plant quasi takes a rest, “recharges”, in order to then – with the setting in of warmer temperatures – drive the accumulated juices into the young spring buds with fresh power. To this adds the general “freshness effect”, based on the fact that a freshly picked and processed tea will always have an edge over the same tea being a few months or years old, namely its tasted, scented and altogether felt freshness. But the spring harvest means yet more than “only” the best tea of the year. It gives both producers and consumers hints on how good the tea of a year – also in its further course – will be. If the first spring teas of a given year are particularly good, one can assume that relatively good tea will be picked also in the further course of that year, and the other way around. Thus, the winter is of great importance for the quality a a year’s tea harvests, and it becomes clear, how climate change is becoming a menace scenario for many traditional tea cultivation regions. Another issue in the context of spring harvests is the timing of the first picking: the great popularity of spring harvests and the strong demand for spring teas / first flushes resulting from logically generates a certain pressure on producers to be among the first suppliers, who bring their tea to the market in any given year. Often, contingents of this harvest are already pre-ordered, and it is now at the producers’ discretion, when they will pick these allotments of tea. The risk at this is that of too early harvests, when tea is picked in a state of still sub-optimal maturity, in order to get to the market early and thereby achieve a good market position – at least in a short-term perspective. Especially in times like these, where tea drinking is a strong trend in western societies, and the demand is at an above-average level accordingly, the phenomenon of market pressure towards too early markets is by no means limited to Darjeeling, but can also be observed for example in China, or here in north Thailand. 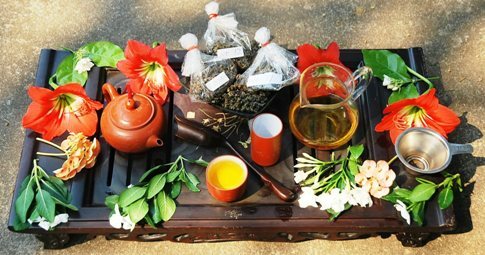 It is therefore not advisable for passion-driven tea lovers to jump on the “spring tea train” too early in a given year, and offers of fresh “flight teas” already in February are better responded to with due care. 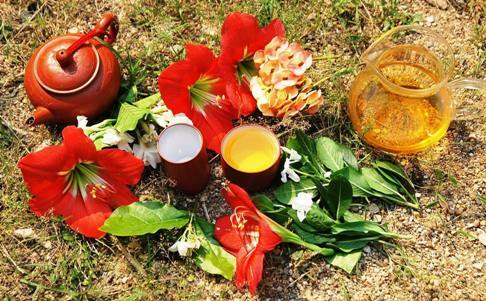 The terms “first flush” and “flight tea” are know to us from the realm of Darjeeling tea, but what about the significance of spring for other tea-processing countries, such as China, Taiwan, or in our case north Thailand? Well, of course, the spring seasons is as important for the tea production in these countries as it is in India. 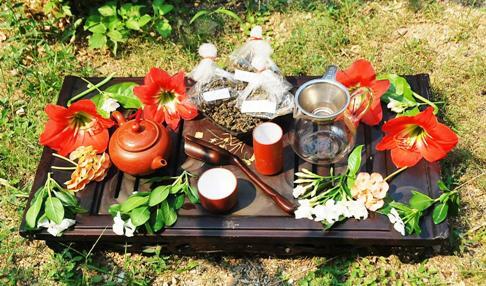 Various classic Chinese teas can only be picked in spring. Often, the tea harvested from a particular cultivar in spring, is – compared with summer and autumn pickings from the same tea bush / tea tree – not only traded under a different name, but in fact shows completely different taste properties. A good Thai example for this is our DMS Cing Xin Oriental Beauty Oolong Tea: only once a year, in spring, this tea can be picked from the Taiwan-imported Cing Xin cultivar. Harvests brought in from the same bush during the remainder year are processed to green tea, our DMS Cing Xin Green Pearls. And when, typically in March, the first harvests of the year of our (also Taiwan-imported) Oolong tea cultivars Ruan Zhi No. 17, Jin Xuan No. 12 and Si Ji Chun Four Seasons Oolong are brought in, we do not only await these pickings with anticipation, because we will receive the best quality of these Oolong teas then, but also, because we then will learn how good the teas in the current year will generally be, that is also those teas for example that are based on these tea cultivars as derivates, such as for example our Dong Ding Oolong Tea (based on the Ruan Zhi No. 17 cultivar), our Jin Xuan Black Pearls, and then, much later in the year, our Jin Xuan “Hoarfrost” Oolong Tea (winter harvest). Concluding, a few current data regarding this year’s spring harvest 2014, which has just began. Despite the general trend of global warming, north Thailand had its most “normal” winter in years around the year’s turn 2013/2014, with the above-described temperature pattern constantly applying over months, and following a proper, precipitation-rich rainy season. This year’s first spring teas from Doi Mae Salong, which I received for trying here in Chiang Mai just recently, being our DMS Jin Xuan Oolong No. 12, our DMS Ruan Zhi Oolong No. 17, and our DMS Four Seasons Oolong Tea are accordingly: highly aromatic, full-bodied, the characteristic of each individual tea is particularly strongly developed and altogether an indicator that our Thai teas this year have gained some clear quality edge over the less optimal year 2013, where spring followed an unusually warm winter. And, last but not least, Thailand Post also offers air mail shipping services to Germany, and this is why we have the three above-mentioned Oolong teas at Siam Tea Shop in freshest possible spring tea quality for you now, flown in directly by airplane, making them quasi “flight teas”, from this year 2014’s first harvest in Doi Mae Salong, north Thailand!